Charles Mann is a businessman and former American football player. He played as a defensive end in the National Football League (NFL) for the Washington Redskins and San Francisco 49ers. Mann was a four-time Pro Bowler in 1987, 1988, 1989, 1991. Mann was drafted in the third round of the 1983 NFL Draft by the Washington Redskins, and by the end of his time with the Redskins, the defensive lineman tallied 82 career sacks, second-most in franchise history and 17 forced fumbles, most in franchise history. Along the way Charles' Redskins won Super Bowl XXII and Super Bowl XXVI before the Sacramento native signed with the San Francisco 49ers in 1994 and won Super Bowl XXIX before retiring. Post football, Mann helped found the Good Samaritan Foundation which provides youth with the environment needed to equip them with the skills, training and resources necessary to compete successfully in society through the Student Training Opportunity Program (STOP). Mann was voted "Washingtonian of the Year" in 1993 and was involved in a number of local and national philanthropic organizations. Prior to starting his own company, Charles was a Color Analyst & Reporter for a number of the most prominent media outlets, including ESPN, BET, WUSA, and more. 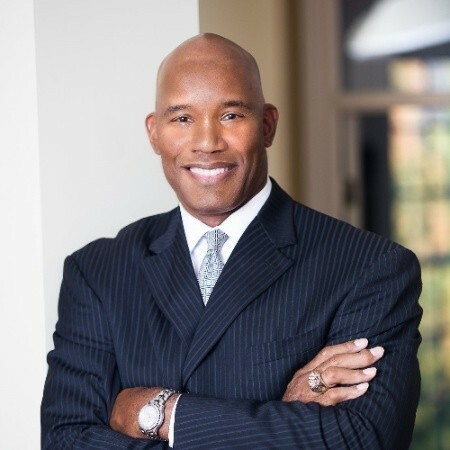 A man of his faith, Charles has been Deacon and Head Usher at Grace Covenant Church in Virginia since 1998 and is the Founder/CEO of Charles Mann Enterprises, LLC (CME) as well as Charles Mann Ventures with the primary purpose to focus on relationships, branding, and sales and marketing.